Vitamin D has been the latest craze for supplements and research in recent years. I, myself, take 10,000 IUs per day because I know I am vitamin D deficient if I do not. Low vitamin D levels have been connected to multiple sclerosis patients as well as other autoimmune diseases so it stands to reason taking a supplement to increase my vitamin D is reasonable. 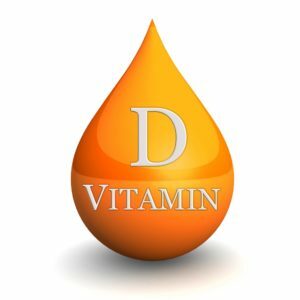 But wait a minute, sharing a common vitamin D deficiency with other patients doesn’t actually mean causation nor does it justify supplementation, according to Dr. Mike Allan, director of Evidence Based Medicine in Alberta. When comparing healthy individuals to those with autoimmune diseases, it is true vitamin D levels are lower in those with such illnesses. However, this may only be a symptom or indicator, not the cause which then means increasing my level of vitamin D with supplements may actually have no affect on my overall health. Still, given no harm comes from my regiment, I’ll be taking my vitamin D until further research indicates that no benefit exists. Read more on ScienceDaily.com at: https://www.sciencedaily.com/releases/2016/06/160616120528.htm. Image from www.cog-med.com.